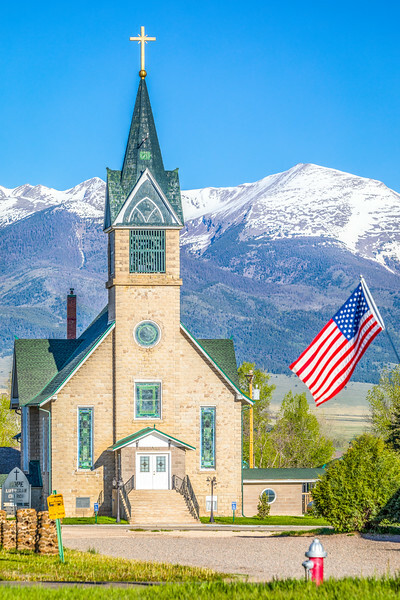 Hope Lutheran Church is a historic church at 310 S. 3rd Street in Westcliffe, Colorado. This beautiful building was constructed in 1917 and was added to the National Register of Historic Places in 1978. The image was made using a Canon EOS 5D Mark IV digital body, a Canon EF 180mm f/3.5L Macro USM lens, at f/7.1 for 1/320 second at 100 ISO.